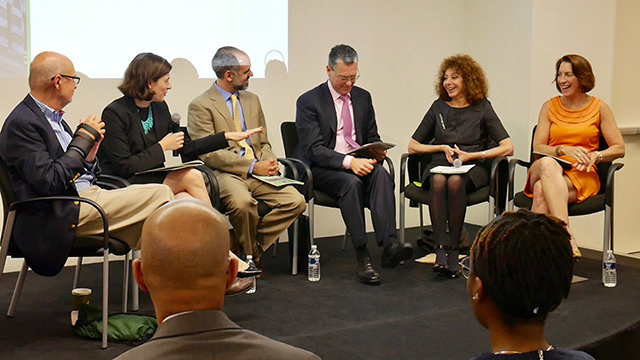 CPC, Public and Private Partners Launch "Underwriting Efficiency: A Mortgage Lender's Handbook for Realizing Energy and Water Efficiency Opportunities in Multifamily Housing"
New York, NY, May 17, 2017 — The Community Preservation Corporation (CPC), along with a consortium of private and public partners, today announced the launch of "Underwriting Efficiency: A Mortgage Lender's Handbook for Realizing Energy and Water Efficiency Opportunities in Multifamily Housing." CPC created the handbook to serve as a free resource for lenders in their efforts to incorporate energy and water efficiency features into the financing of first mortgages for multifamily building owners. Underwriting the potential savings and providing additional low-cost, long-term capital in the mortgage, can help break down the financial barriers that building owners of all sizes currently face in implementing sustainable property improvements. 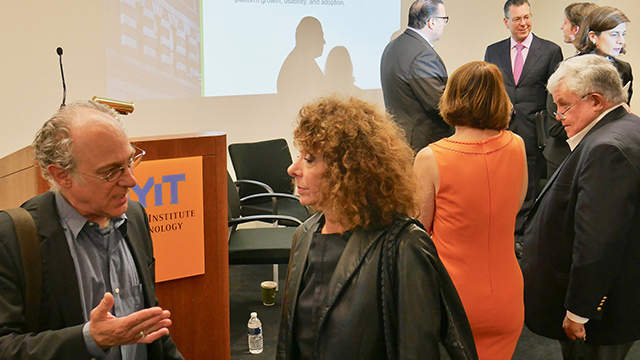 The launch of this new industry tool took place at a panel discussion on the benefits of sustainability in multifamily housing that was hosted this morning by the Sallan Foundation. The Underwriting Efficiency handbook provides an overview of how energy and water efficiency financing tools benefit lenders, owners, and residents. It also offers examples of ways to improve building efficiency based on financing goals and a step-by-step framework for integrating efficiency measures into the mortgage lending process. 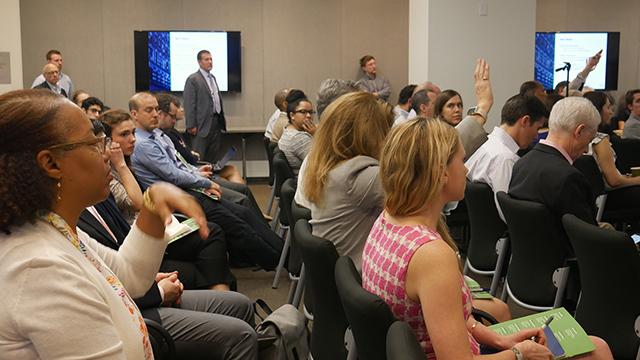 With this resource in hand, mortgage lenders can demonstrate to building owners the financial impact of investing in efficient multifamily buildings and remove barriers to financing high performance buildings and major retrofits. The creation of the handbook was a collaboration between CPC and its partners: Energy Efficiency for All, Association for Energy Affordability, Bright Power, Enterprise Community Partners, Environmental Defense Fund, Rocky Mountain Institute, and The Sallan Foundation. "The savings from energy efficient property improvements can play a major role in the long-term economic stability of multifamily buildings, which is critical to the preservation of affordability in our communities," said Sadie McKeown, Executive Vice President & Chief Operating Officer, The Community Preservation Corporation. "CPC's Underwriting Efficiency handbook gives lenders a resource of information on the benefits of efficiency improvements, how to discuss it with owners, and how to incorporate the savings into the underwriting process so they're accessible for everybody. We believe that Underwriting Efficiency is a replicable model that can be a game-changer for how the multifamily lending industry does business." With such prevalent influence over the economics and condition of our housing stock, the lending industry has a tremendous opportunity to take the lead in advancing measures that will not only improve loan performance and mitigate risks, but also improve the financial and physical quality and sustainability of the buildings and communities in which we live and work. "Increasing energy and water efficiency is critical to New York State meeting the state's aggressive climate and energy goals, and until now lenders' reluctance to underwrite the savings has been a major barrier," said Greg Hale, Senior Advisor to the Chairman of Energy & Finance, New York State. 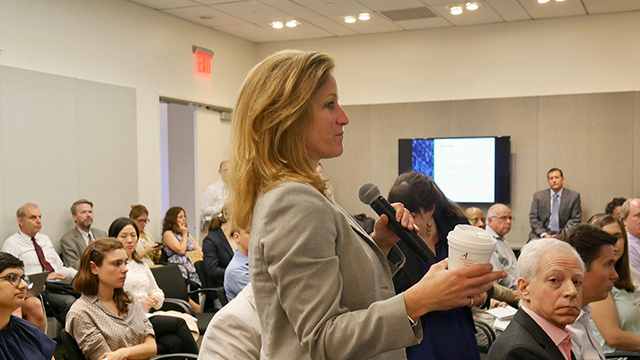 "CPC's Underwriting Efficiency handbook is a perfect complement to the Integrated Physical Needs Assessment announced by state and city housing agencies earlier this month. Now building owners will not only be presented with an analysis of available efficiency opportunities when they buy or refinance a building, but also with the financing means to take advantage of those opportunities." "Through Housing New York, we aren’t just working to keep our city more affordable, but also more sustainable for future generations," said HPD Commissioner Maria Torres-Springer. 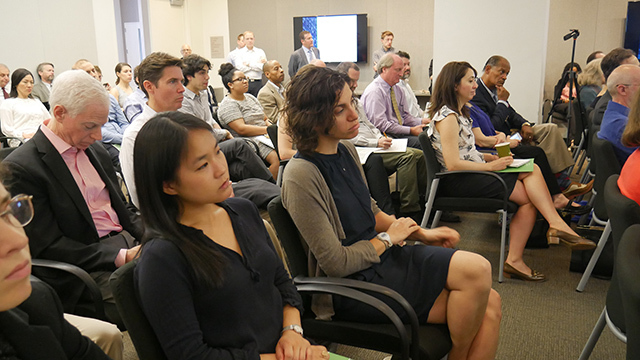 "Through the Green Housing Preservation Program and new energy benchmarking and assessment tools, HPD is committed to helping owners reduce utility and operating costs, and keeping rents affordable for residents. 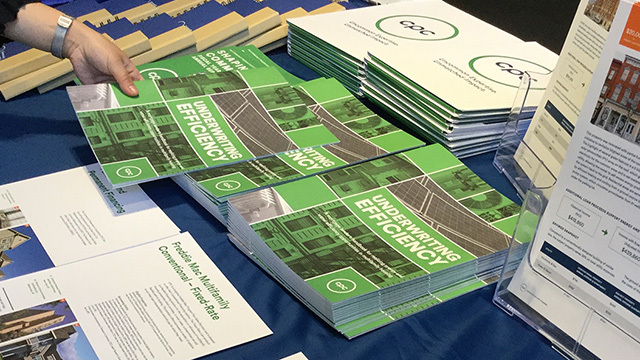 CPC’s new handbook, Underwriting Efficiency, offers an important new resource for the affordable housing community, and we thank CPC for their continued leadership in promoting energy efficiency improvements to the city’s housing stock." "For advocates of the idea that economic and environmental sustainability are two sides of the same coin, the new Underwriting Efficiency handbook shows us just how smart mortgage lending and underwriting proves the concept," said Nancy Anderson, Executive Director, the Sallan Foundation. The cost savings associated with energy efficient construction and retrofits play a key role in ensuring the long-term economic stability of multifamily properties, which is critical to the preservation of rental affordability in our communities. "Greener" buildings cut down on energy consumption, have smaller carbon footprints, and provide a host of long-term benefits for owners, residents, and communities. However, significant barriers exist for many owners who may be interested in including energy efficient measures in their properties. From systems to maintenance, size, and location, there are a multitude of factors that can make it difficult to figure out the most effective way to increase a building's energy efficiency. 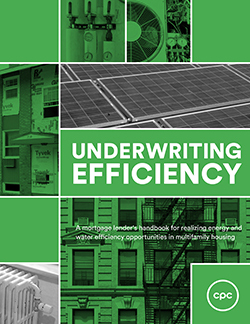 The Underwriting Efficiency handbook provides lenders with a resource of information on the tangible benefits of efficiency measures, how to discuss the topic with owners, and how to incorporate the potential savings into the underwriting process. "This guidebook helps to bridge a critical knowledge gap that can free up capital for energy and water efficiency improvements in affordable housing," said Lindsay Robbins, senior advocate in the Urban Solutions program at the Natural Resources Defense Council. "Efficient buildings save money for owners and reduce the risk of delinquency for lenders, while improving living conditions for residents and reducing carbon pollution. This guide can serve as a model for mortgage lenders nationwide to extend the benefits of efficiency to millions of low-income families across the country." 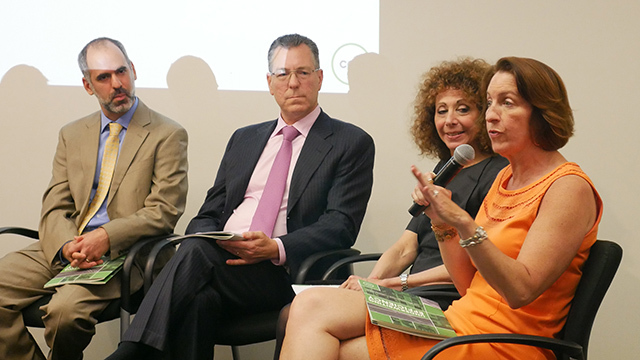 "CPC has demonstrated real leadership in developing this invaluable resource that will help lenders and their customers realize the significant benefits of investing in energy efficiency — to improve affordability, comfort and health, while reducing greenhouse gas emissions and improving the environmental sustainability of our community," said Susan Leeds, CEO of NYCEEC, a non-profit financier specializing in energy efficiency and clean energy. 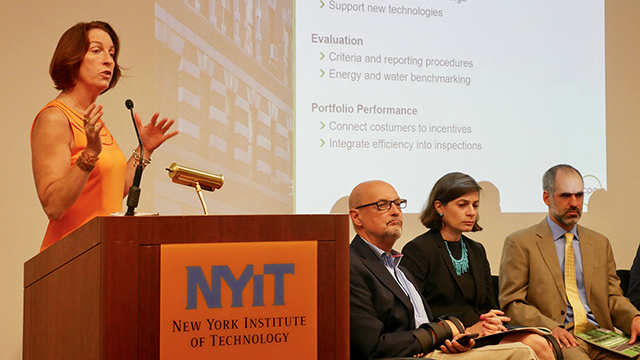 "Using mortgage finance to fund efficiency measures is a powerful and cost-effective way to unlock the value of energy efficiency that NYCEEC enthusiastically supports. CPC is at the forefront of the mortgage lending industry in advancing a tool that will help 'de-mystify' the process of making multifamily buildings more efficient, affordable and sustainable." "Energy expenses are the largest variable operating cost in our 4,000-unit portfolio. We hope owners of affordable multifamily housing will take advantage of this unique lending product," said Michael Bodaken, President, National Housing Trust. 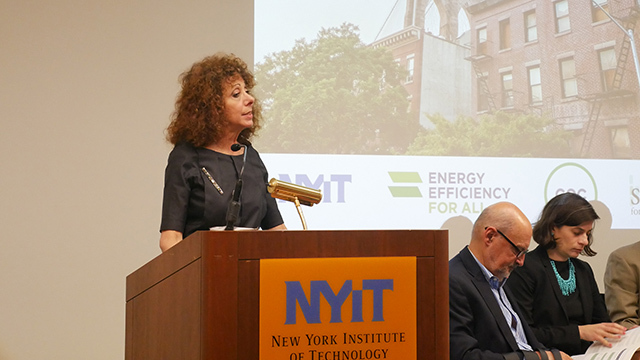 "Energy and water efficiency keeps operating costs down, lowers emissions and promotes healthier living spaces for residents, making it critical for affordable housing," said Judi Kende, vice president and New York market leader, Enterprise Community Partners. "Enterprise is proud to lend our expertise to this handbook in order to help lenders better understand its value, making it easier for building owners to improve sustainability features and pass the benefits on to residents. We thank CPC for its leadership in creating this important resource." 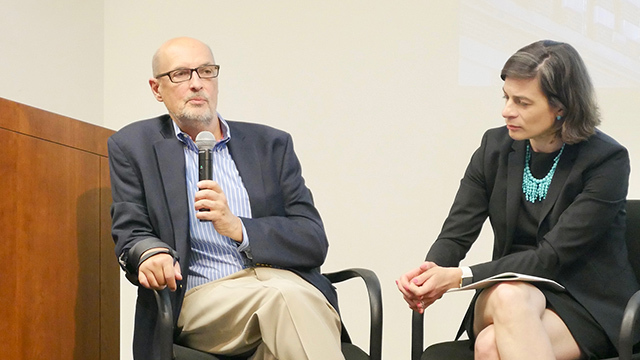 "The Underwriting Efficiency handbook gives developers the tools to properly leverage energy savings into unique financing options," said Michael T. Rooney Sr., founding principal of MDG Design and Construction. "By incorporating efficiency into the financing structures of our projects, we are able to produce and preserve high-quality, sustainable, and long-term affordable housing for New York City's most vulnerable communities." A growing body of research shows that approximately 25 percent or more of a building's energy and water is wasted through inefficiencies that could be corrected through efficiency upgrade programs for multifamily housing. This could be especially important in helping small building owners control their maintenance and operations expenses, and maintain the affordability of their properties. Throughout New York, small buildings are the backbone of our housing stock. As a haven of natural affordability they are where most low- and moderate-income renters live, often renting well below market. They also tend to be older, operate in thinner margins, and lack access to capital and other resources needed to implement efficient upgrades and retrofits. Energy and water efficiency upgrades are beneficial for both borrowers and lenders. Borrowers who use mortgage loan proceeds to finance efficiency improvements gain access to low-cost, long-term capital; better loan terms; and marketability and retention. 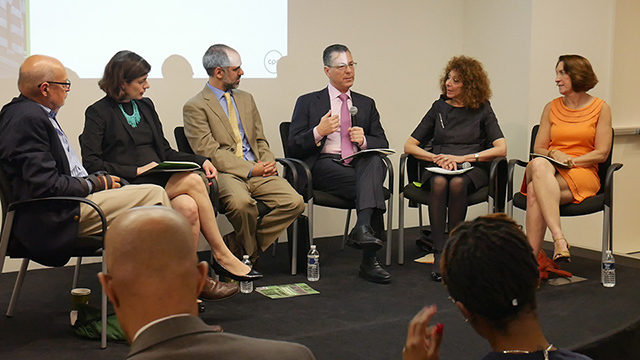 Lenders play an integral role in educating borrowers about the benefits of efficiency, helping identify opportunities, financing upgrades and improvements, and connecting borrowers to resources. Furthermore, by improving the physical and financial health of a building, efficiency helps lenders to mitigate risk and reduce delinquency. Nancy E. Anderson, Executive Director of the Sallan Foundation, is a life-long New Yorker. After obtaining both her B.A. and Ph.D. from New York University, she served as an environmental advisor in City government for two decades. Since opening the doors of the Sallan Foundation in 2005, she has worked to advance useful knowledge for greener cities. 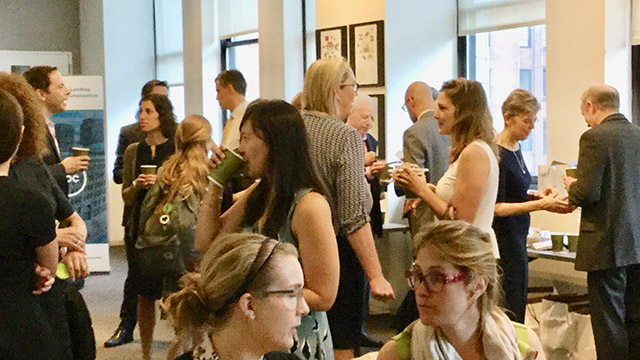 Making high performance building New York's "new normal" and seeking sustainable solutions to urban energy needs are among the Foundation's key campaigns. 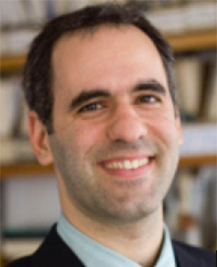 Dr. Anderson writes a regular column and organizes conferences and lectures on subjects core to the Foundation's mission. Her most recent project was advising on the development of "Underwriting Efficiency: A Mortgage Lender's Handbook" for realizing energy and water efficiency opportunities in multifamily housing. Michael Bodaken serves both as President of the National Housing Trust and of the National Housing Trust Community Development Fund, NHTCDF. The Trust engages in preservation policy, affordable housing development and lending. The Trust is committed to a 'balanced approach' to fair housing, which promotes access to high opportunity communities through mobility and ensures that residents who remain in neighborhoods experiencing distress have access to resources and investments that improve their housing and neighborhoods. He has been largely responsible for growing the organization in becoming a leader in the field of affordable housing and advocating for "Green Preservation" urging the targeting of resources for energy efficient affordable housing. The Trust has financed and preserved over 25,000 affordable homes throughout the nation, involving over $1 billion in financing. NHT Community Development Fund provides low interest loans to preservation developers across the U.S. NHT/Enterprise owns and operates 3,400 affordable apartments in eight states and the District of Columbia. Mr. Bodaken is the convener of the National Preservation Working Group, a member of the Executive Committee of the National Housing Conference. He serves on the board of directors of Homes for America, Housing Justice Center and Stewards of Affordable Housing for the Future (SAHF). 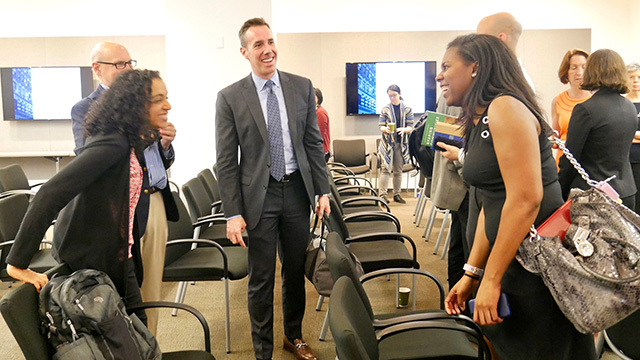 He is a frequent guest lecturer and panelist at affordable housing industry events. The Trust was the winner of the John D. and Catherine T. MacArthur Foundation Award for Creative & Effective Institutions. Jon Braman, Bright Power's VP of Strategic Initiatives, provides building portfolios with energy management services to save energy and water, improve resident quality of life and reduce costs. Jon has been with Bright Power since 2007 and has experience conducting energy audits, implementing energy upgrades, training organizations on energy management best practices, analyzing energy consumption at thousands of multifamily properties, conducting research and pilot projects on benchmarking, energy and water efficiency retrofits, operations and maintenance, and energy finance. Sadie McKeown is Chief Operating Officer and Executive Vice President at CPC. In this capacity, Ms. McKeown oversees all of CPC's lending activities, business operations and investor relations, as well the operation of all Regional Field offices. She is also responsible for the company's innovative Green Financing Initiative which combines public incentives for energy retrofits with private dollars to reduce a borrower's energy, heat, and water costs as well as their carbon footprint. 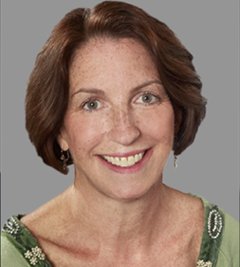 After starting her career at CPC as a Mortgage Originator in 1992, Ms. McKeown later served as Senior Vice President and Director of Lending in CPC's Hudson Valley Region, where she led the company's Downtown Main Street initiatives. Ms. McKeown earned her Master's degree in Human Services Administration with a concentration in Housing from Cornell University. She received her Bachelor's degree in Communications from Fordham University. Chrissa Pagitsas is the Director of Fannie Mae Multifamily's Green Financing Business. 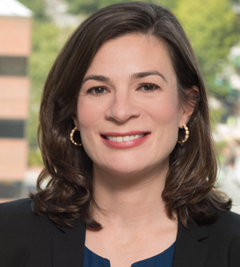 Under her leadership, the Fannie Mae Multifamily Mortgage Business has grown to over $4B in Green Mortgage Backed Securities (MBS) through December 2016. She is responsible for creating market transforming innovations in the financing industry such a launching a national mortgage product that incentives retrofits, creating the Green MBS and determining how to integrate green cost savings into conventional mortgage underwriting. She initiated and led the project to create the EPA's ENERGY STAR® Score for Existing Multifamily for multifamily properties across the US. 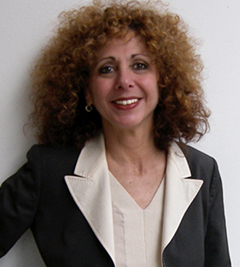 Ms. Pagitsas is a Secretary-Treasurer and Board Member for the US Green Building Council. 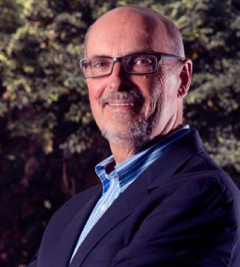 Michael T. Rooney is the founding principal of MDG. Michael is best known for working with local community groups and building owners to find innovative ways to develop, finance and rehabilitate residential real estate in emerging communities. 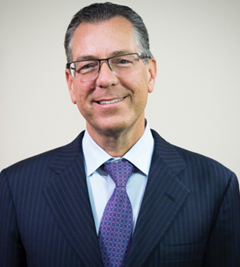 Michael received his BA in accounting from Pace University in 1982 and worked for Kenneth Leventhal in tax planning for New York and New Jersey real estate developers. In 1988 Michael turned his full attention to buying and developing affordable housing in New York City. His expertise in working with HUD, HPD and HCR has made him a leader in the affordable housing industry. Michael has been involved in the development and/or construction of 14,300 units in over 700 buildings resulting in $950 million in affordable housing development. All of these properties were in a state of disrepair when Michael became involved. Michael's success in turning around these distressed properties is the result of his hands on approach to working with developers, community groups, investors, building managers and tenant organizations. With over 25 years of experience in affordable housing, Michael has become an expert in turning around distressed properties that have appeared to have no hope of being saved.